You are here: Home / Heart Disease / Heart Valves / PFO anyone? Help!! It’s an emergency!! I have a hole in my heart!! My last doctor performed an echocardiogram and told me I have a patent foramen ovale (PFO). What does this mean? More importantly, what does this mean for me? The foramen ovale is a shunt that is a necessary component of the normal fetal circulation. Oxygen rich blood from the mother is shunted through the foramen to the feed the fetus’s body. Once the baby is born, the pressures within the circulation change, and the shunt closes. For most of us this is the end of the story. For some of us, the story is just beginning. If you have a PFO, you may think you are alone but it turns out that about 1 in 4 people will be just like you. PFOs occur so often that many consider it a normal variation in anatomy. The PFO falls in the spectrum of “abnormalities” referred to as atrial septal defects. Atrial septal defect (ASD) simply means there is a hole in the natural divider that exists between the two upper chambers of the heart. I have to be honest – these holes can put you at risk for heart failure, stroke, migraines, low blood oxygen levels, etc. Fortunately, not all ASDs are created equal and much of their risk depends upon the size of the hole. The hole created by the PFO is usually not a “hole” per se because a flap of tissue extends over it. 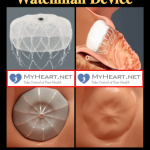 The flap acts like a one way valve that utilizes the normal heart pressures to remain closed. When the heart pressures within the top chambers get reversed, like when you cough, blood flow can abnormally travel between the two chambers. You: …but doctor: you said that that PFO can increase my risk of stroke or heart failure. Shouldn’t I have it closed? You: Is there anything else you can tell me that may help me understand? Doc: No. I am generally uncharismatic. Fortunately the internet is filled with lots of useful information. Approximately 800,000 people are diagnosed with stroke each year. The cause of the stroke will not be identified in over 25% of these cases and are called cryptogenic strokes. It turns out that in this specific group of people about half of them will have a PFO; a much higher rate than is seen in the general population. Logic dictates that fixing the hole will lower the risk of risk of future strokes. PFO with an associated atrial septal aneurysm was thought to convey an even higher risk of stroke. For a while, we were all really excited about the potential benefits of PFO closure to prevent strokes. Unfortunately, the results have been less than spectacular and this indication remains very controversial. It turns out the treatment with medicines is just as effective as closing the hole at preventing stroke and isn’t associated with the potential complications associated with surgery. If you continue to have embolic strokes despite medical therapy or if you have a documented paradoxical stroke, a stroke where a blood clot passed through a hole in your heart, then there may be some role for closure and you should talk with your cardiologist about your options. In retrospect, the previous sentence should have been placed under the “it may help category” below but didn’t fit from a contextual perspective. This is less of a negative report and more of a “to be determined.” It has been speculated for some time that PFOs are associated with migraine headaches. However a recent large case control study showed no association between PFO and migraines despite several smaller studies which show a connection. Similarly, there are lots of preliminary data that suggest that PFO closure with a closure device improves migraine symptoms. Unfortunately, all randomized controlled trials designed to test this theory have either been inconclusive or are at present incomplete. My final answer for migraines is … I have no idea. We will just call it controversial. Regarding the heart failure bit, the risk is related to the amount of abnormal blood flow within your heart. The amount of abnormal blood flow is directly related to the size of the PFO. 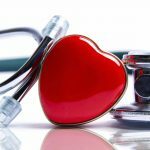 If you start to experience shortness of breath or leg swelling (please see the heart failure post by my colleague Dr. Guichard) then having your PFO closed may be for you. Talk to your doctor about PFO closures and whether it is an appropriate treatment for you*.. Sometimes the hole can lead to a condition of low blood oxygen levels called hypoxemia (hypoxia) and result in shortness of breath and weakness. Similar to heart failure, this is a clear indication for PFO closure. If your oxygen levels are low and/or you have shortness of breath, a PFO could be the culprit. In summary, your PFO should be closed if you are having heart failure related to over-circulation or hypoxemia related to abnormal shunting of blood from the right to left chambers in your heart. Less clear indications include a documented history of paradoxical embolism or recurrent cryptogenic stroke and perhaps migraine. The easy answer is to talk with your doctor because this all gets really confusing really quickly. I just found your twitter page. Great videos and pictures. Thank you for sharing. Wanted to get your thoughts on PFO. I suffered stroke in 2014 was 48 yrs old at time. No cause found. Small PFO, so theory two clot passed through hole hit the brain. On 2 Aspirin a day. No recommendation to close at this time. Always like hearing others thoughts on this controversial topic. Thank you. This is a very hot topic, whereas a few years ago it was felt the role of PFO closure was minimal, now it is a hot topic and closure is becoming more common. In general if someone has had a clear stroke and despite extensive work up no other cause is found then there is a case for closure. When i see such patients i ensure a work up by a neurologist and also a monitor to assess for atrial fibrillation. The case for closure becomes particularly strong if there are high risk echocardiographic features present, namely a shunt seen or atrial septal aneurysm. If the stroke happened a while ago and patients tolerate blood thinner then they may want to continue that alone however if symptoms recur i.e tia or there is a repeat event, closure is likely warranted. I usually have a long discussion with the risks, benefits and available evidence to allow the patient to make an informed decision. Some people are certain they want to be more agressive with closure while others prefer a conservative strategy. I feel that in terms of evidence the situation will become much more clear over the next 1-2 years.